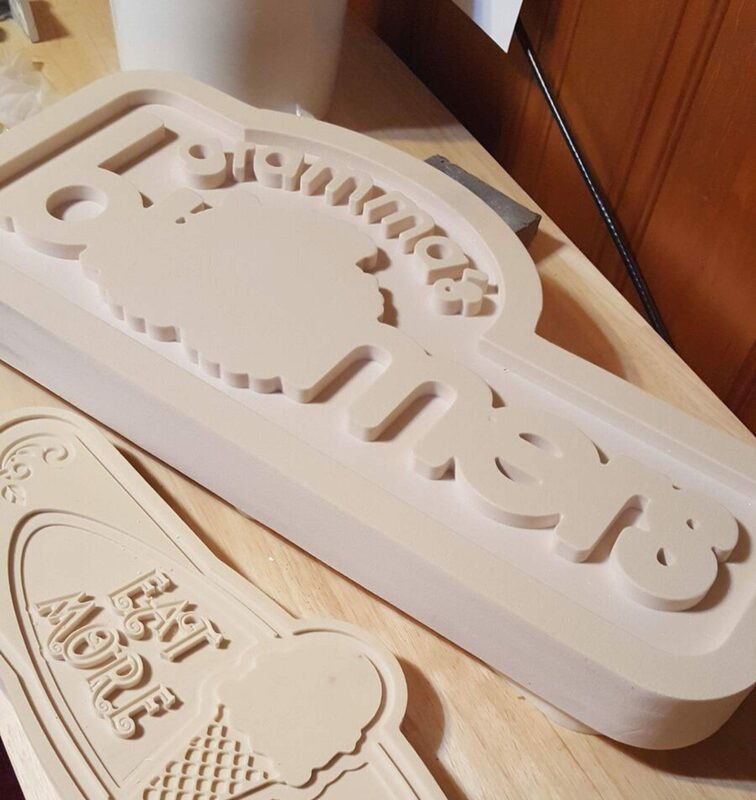 When Kenna McCulluh wanted to make a sign for her side business, Gramma’s Bloomers, she decided to use the leftover Precision Board HDU pieces from larger projects at the full time sign company she owns, Custom Sign Center, LLC in Idaho. She wanted to make a smaltz sign, but decided to crush her own glass from the local recycling center. 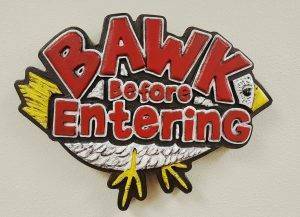 Kenna tells us how she made this mixed media sign from rescued material, much like her other designs for Gramma’s Bloomers. 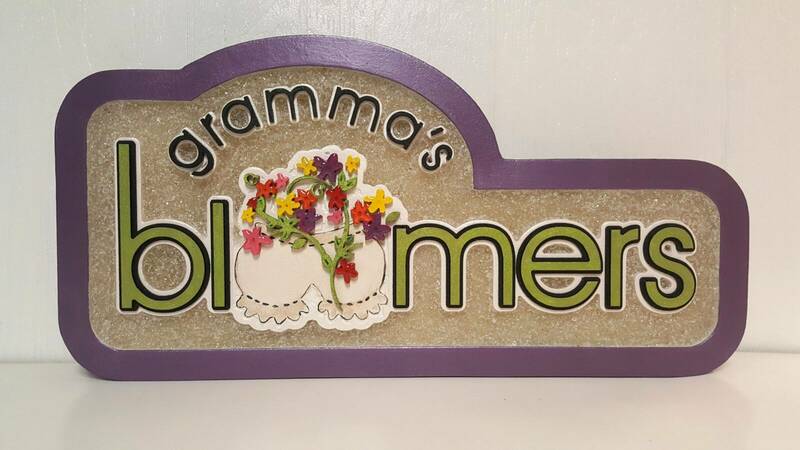 The Gramma’s Bloomers sign was made from a smaller piece of PBLT-15 and is 1.5″ thick and 11″ x 23″. 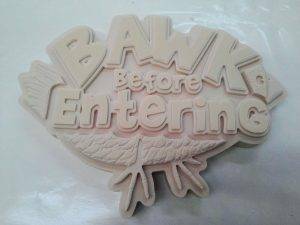 Kenna designed it in Corel Draw and then exported the eps file to Vectric V-Carve Pro and programmed the tooling for the sign. 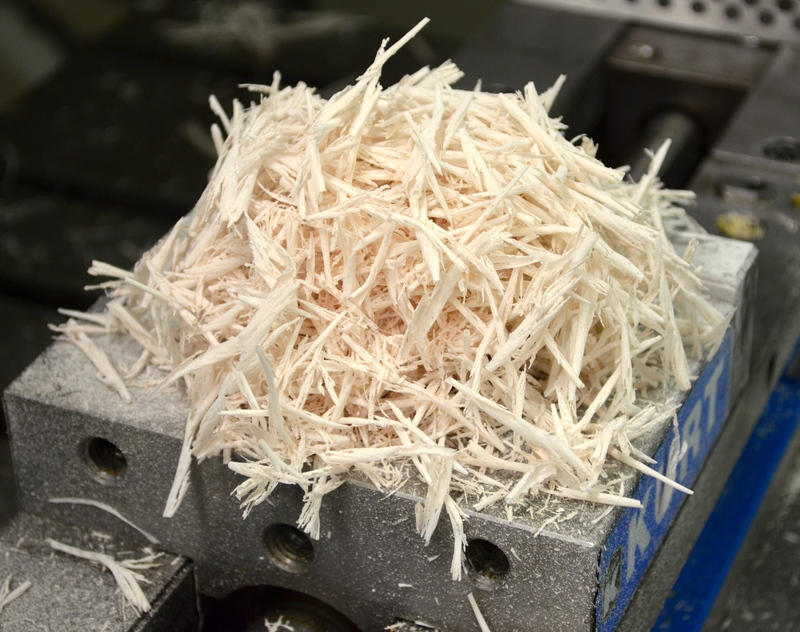 She pocketed out 3/8″ deep where the glass was going to be, leaving the lettering outline and “bloomers” using her CAMaster Stinger 1 router. The flowers and letters were from the Precision Board HDU protective cover sheet that came with a larger order from her local distributor. 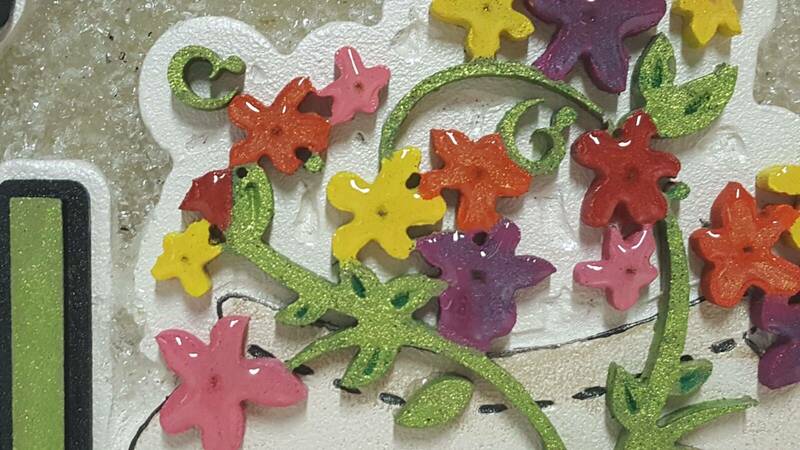 She used a 1/16″ CNC router bit to tool the flowers because of the level of detail required. After routing the sign, Kenna primed it with two coats of FSC-88 WB everywhere except where the glass was going. Once the primer was dry, she added at least two coats of Modern Masters metallic paints. “I love how Modern Masters paint feels when painting and how it picks up highlights and shadows,” she says. For exterior use, Kenna says she uses Masterclear Protective Clear Topcoat to protect the paint. 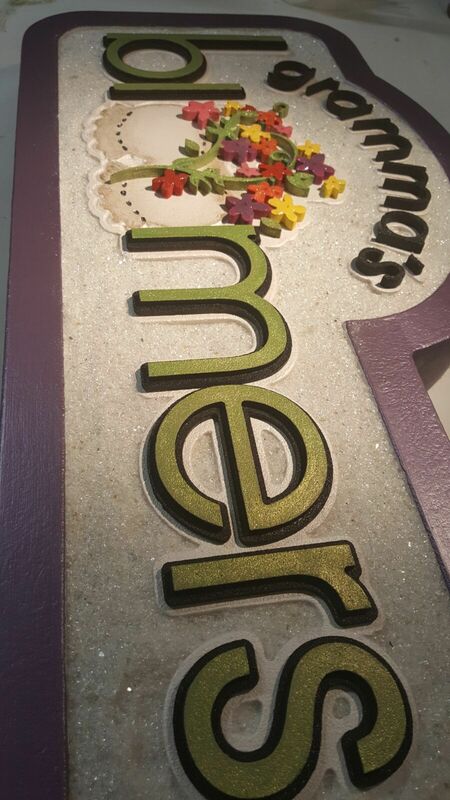 The flowers were domed with epoxy to give a little more height and effect. 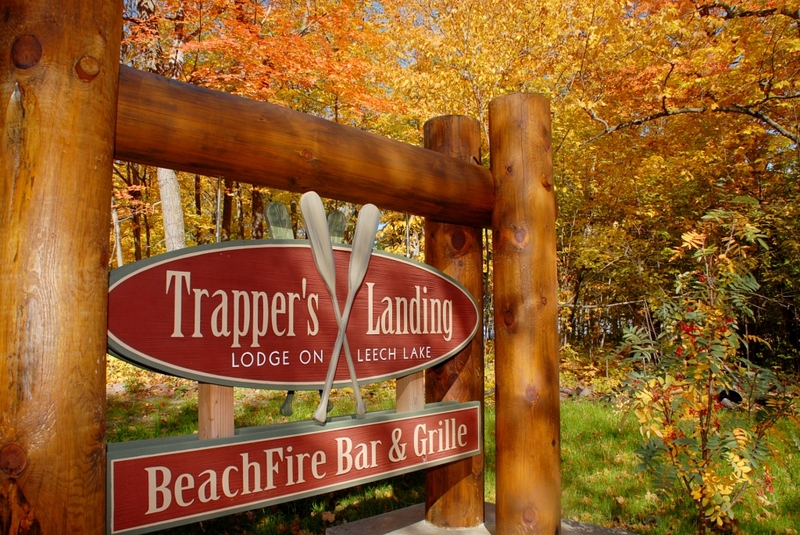 “I’ve always loved the classic smalted signs and decided to pick up some recycled glass to try,” she says. “It’s interesting because there may still be some paper left from the labels so it’s a process to clean it out but I also think it’s things like that which lend a certain personality to handmade items.” Kenna gets her crushed recycled glass from the local glass recycling plant (Coeur d’Alene Glass Recycling Company). 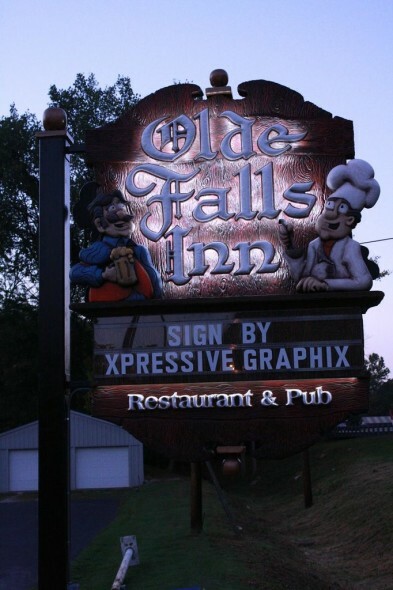 With 25 years in the sign industry, Custom Sign Center LLC knows the process from design and production to permits and installation. Quality work, honesty, value and a passion for what they do combined with years of experience is evidence that you came to the right place. You can give them a call at 208-664-7917 or visit their website. 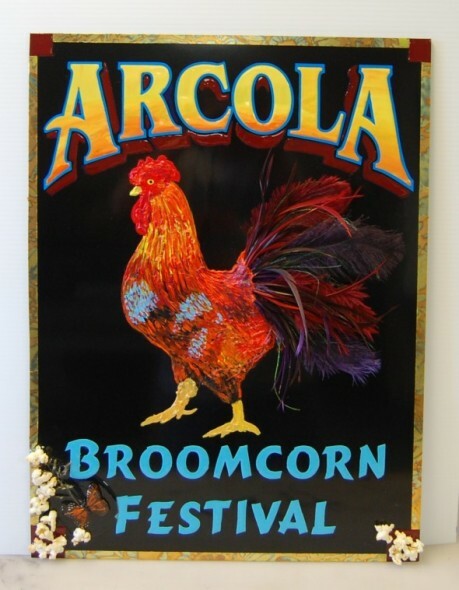 Gramma’s Bloomers is a place where scrap items used in the sign industry and a mixture of other materials are lovingly transformed into new life. Items that were once headed to the trash heap now “Bloom” in to fun, imaginative and unique items inspired by the world around Kenna. She believes it’s the little details that make each item unique so they become special to you. No two items are the same. Each creation was made so it blossomed with it’s own unique personality. Gramma’s Bloomers can be found on Instagram and on her Etsy store. 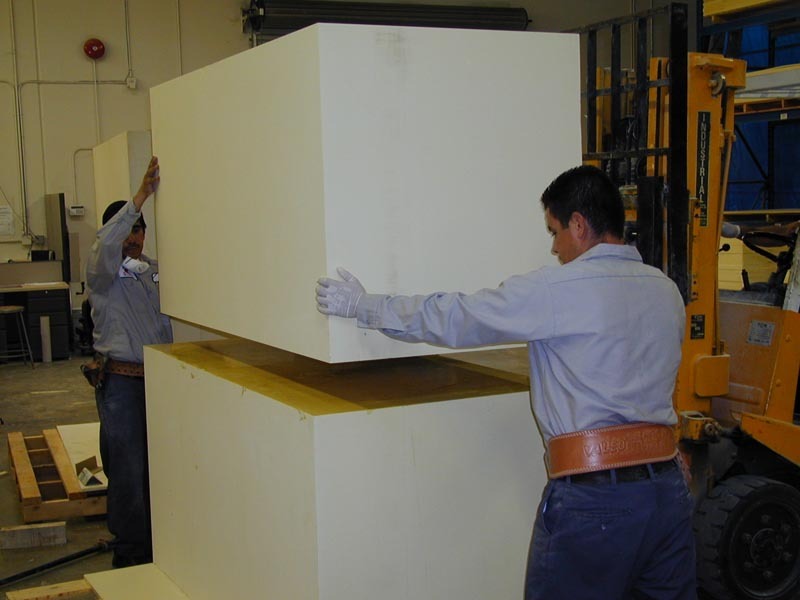 Coastal Enterprises has a wealth of information on our website, from priming and coating Precision Board to the how our HDU cuts with CNCs, waterjets and lasers. 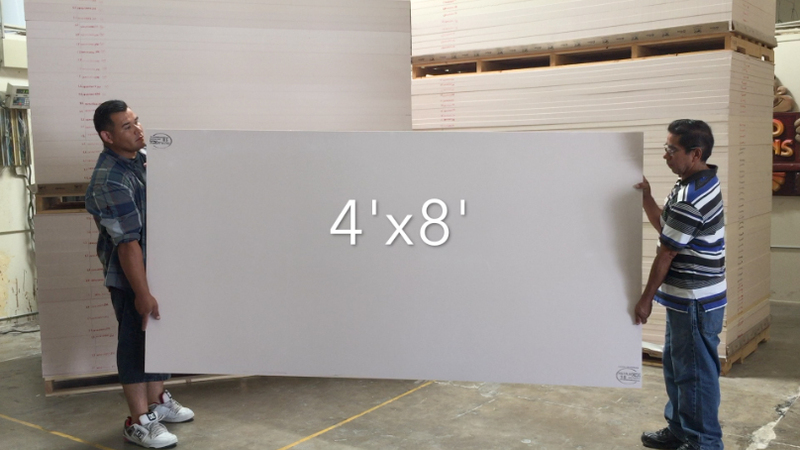 Sign up for our monthly blog roundup and make sure you don’t miss any of our weekly blogs with tips and tricks from the industry on using Precision Board HDU!